An upcoming J. Lo film revolving around mistaken identity. A movie starring Drew Barrymore, also revolving around mistaken identity. A romantic comedy starring a woman with the surname Roberts. Either we’ve been transported to the year 2000, or the romcom is back. Again. For years, critics have been declaring the genre dead, then alive, then dead again, then alive again. But with the charming Netflix movie Set It Up triggering a slew of “romcoms are back!!!! !” takes, it seems this zombie of a genre has risen once more. In this episode of DirtCast, Megan chats with Jezebel culture editor Clover Hope about this ascendant/moribund genre. Through the late ’80s to early 2000s may be considered its golden age, the romcom never really went away, they argue—it just changed form. 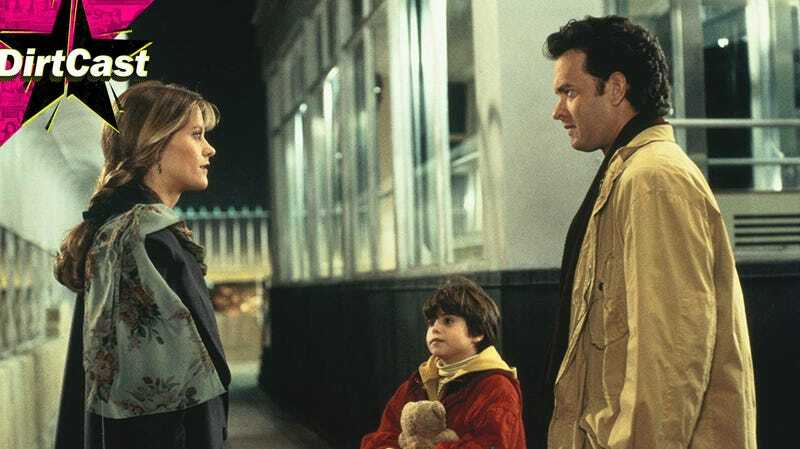 So what’s happened to it since Harry met Sally? From teen romcoms to black romcoms to budget straight-to-Netflix romcoms, the hosts discuss what actually counts as a “romcom” these days while sharing some of their favorites. Megan is also joined by Jezebel alum Joanna Rothkopf to discuss the Dirtiest Dirt of the week, including real life romcoms When Pete Met Ariana Then Deleted His Instagram, 500 Days of @SammyMarkle64, and There’s Something About Lindsay’s Club in Mykonos. This episode was produced by Rachel Withers. Mandana Mofidi is our Executive Director of Audio. Our theme music is by Stuart Wood. This episode was mixed by Jamie Collazzo.